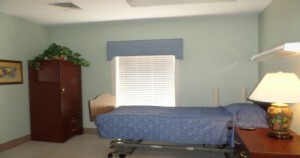 Our facility features both private (shown above) and semi-private room accommodations. We make every effort to create a warm and homelike atmosphere for our residents that offers comfort and companionship with respecting privacy. Each private room is equipped with a phone jack, Flat screen TV, free cable service and WIFI. Each Semi-Private room is equipped with a free cable service and WIFI is also available. 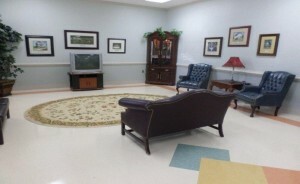 Willow Creek Nursing and Rehabilitation Center has four living areas where residents and their families can spend time together. Lounges are conveniently located to give our residents and their guests an area for social relaxation and comfortable visits. We are proud to be a smoke free campus for residents and staff. We want the dining experience to be enjoyable; we have two different dining rooms available for residents. 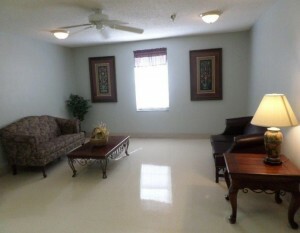 Our first dining room is for residents that who are independent and enjoy socializing with other residents. 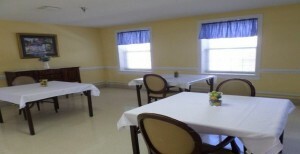 Our second dining area is for restorative dining where the staff is training the residents to feed themselves. Meals can be served in the resident’s room if that is what they prefer. Families and friends may purchase a tray and eat with the resident. The Willow Creek Nursing and Rehabilitation Center’s activity program provides structured group activities for residents. 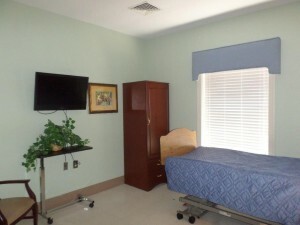 We also provide in room programming for residents who choose not to attend group activities. The residents are provided with independent activities to use when structured activities are not scheduled. We provide activities beginning most days at 10:30 am until 5:30 or 8:30 pm. The residents enjoy two to three outings per month. 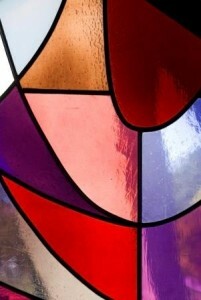 Activities offers residents structured group activities such as bingo, church services, and arts and crafts projects that include stain glass painting, woodworking and beading. 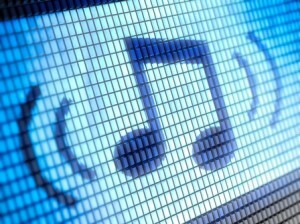 We also have special Sensory Activities for our cognitively impaired residents such as music stimulation, reminiscing, sorting and alphabet trivia, current events discussions with reality orientation.